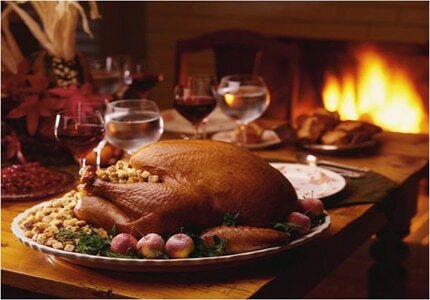 Thanksgiving represents one of the biggest food celebrations in American culture. It is a day for breaking bread with friends and neighbors, and it is a day for celebrating the bounty our land has to offer. For this reason, we are firm believers that a Thanksgiving feast should be paired with American wines. Luckily, our great, winemaking nation offers a wide selection of varieties and styles of wine to suit every taste preference. It isn’t hard to find a homegrown bottling that will shine at your table, whatever style of wine you happen to like. That’s why GAYOT’s list of the Best Thanksgiving Wines includes wines from several different American wine regions. We know you can find something in these wine recommendations to suit your budget, your taste preference and help you celebrate the true meaning of this all-American holiday. When most people think of American wine, the first place they think of is the Napa Valley. But they probably don’t think of a wine like this one! A family-run operation in Rutherford, Peju Winery is known for its reds, including Cabernet Franc and Merlot. However, this unique blend, sold only at the winery, is the one that makes our list of the best Thanksgiving wines. The current release of Province is a proprietary blend of white grapes from the 2017 vintage and red grapes from the 2016 vintage. The result is something we consider to be the one wine that will please everyone at the table. The guest who is just starting to get into wine will appreciate the approachability. That grumpy uncle who doesn’t like anything? The wine’s faint sweetness should put a smile on his face. Even serious collectors will love this wine for its originality. It offers flavors of strawberry, raspberry and even a hint of cranberry relish with soft tannins and a touch of vanilla. For more information, visit the Peju Winery official website. Watch our exclusive video interview with winemaker Josh Phelps, founder of Grounded Wine Co.
There’s a misconception about the climate of Washington state. It is often incorrectly assumed that the entire state receives very little sunshine, but the truth is that the eastern part of the state receives as much as 300 sun-kissed days per year. 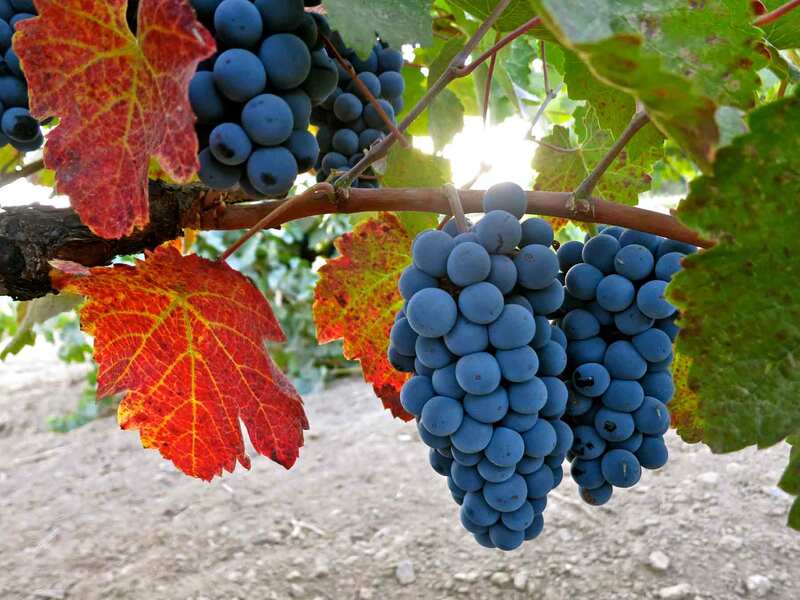 That makes Eastern Washington an ideal region for growing bold red wine grapes. So, if you appreciate bold reds, this is a region you’ll want to explore, starting with the Grounded Wine Company. This relatively new winery is the vision of winemaker Josh Phelps. He’s the son of Chris Phelps, one of the Napa Valley’s most sought-after consulting winemakers. Grounded Wine Company is the younger Phelps’ attempt to build his own legacy, and he’s already being called a “rising star” of the American wine scene. Best of all, he’s doing it while only using grapes from sustainably grown vineyards. We’ve selected Phelps 2016 Collusion as our pick for an affordable red wine worthy of any Thanksgiving table. This red blend offers aromas of blackberry and cooked cranberry, rounded out by notes of vanilla and cedar. Ripe cherry dominates on the palate. However, it’s that lingering note of baking spices on the finish that will make you want to come back for more. For more information, visit the Grounded Wine Company official website. New York’s Finger Lakes region is recognized for producing some of the best Riesling in North America. That’s because of a weather pattern that provides almost constant breezes throughout the winter and opportunities for good sun exposure, despite the region’s cooler climate. Boundary Breaks is a relative newcomer to the Finger Lakes wine region — the first vintage was 2011 — but it is a winery that made its mark very quickly. Although Boundary Breaks produces wines from several varietals, it is known for Riesling, and it is the Dry Riesling that makes our list of the best Thanksgiving wines. The 2017 Boundary Breaks 239 Dry Riesling offers surprisingly good body and intense aromas and flavors of autumn fruits. It is named for the Riesling clone 239. Only grapes from 239 clone vines are used to make this crisp, dry wine. If you enjoy Dry Riesling, you will appreciate this wine’s balance and cleansing, lemony finish. For more information, visit the Boundary Breaks official website. The Anderson Valley is one of California’s lesser-known wine regions. If you are familiar with this fairly remote, northern California AVA, it’s probably because you love Pinot Noir. 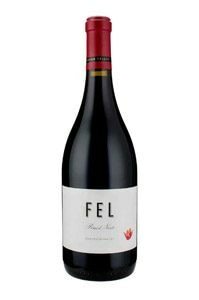 Although there are many great Pinots to choose from in the Anderson Valley, our pick is from FEL. It is a fairly new winery, started in 2009 when Lede Family Wines purchased a relatively obscure, family winery in this Pinot-producing region. The FEL Anderson Valley Pinot Noir is a wine with remarkable aromas. Its floral bouquet features rose petals, violets and hints of rosemary along with cherry and cocoa. The palate is fresh and lively with red fruit flavors and a luxuriously silky texture. For more information, visit the FEL Wines official website. This is the best Thanksgiving wine choice for the historian. The wine comes from Cape Cod. And the grapes are grown very near, in fact, to the first place the Pilgrims made landfall before settling in what is now known as Plymouth. This family-run winery is uniquely situated on a narrow strip of Cape Cod, sandwiched between the Atlantic Ocean and the Cape Cod Bay. Certainly, it is fair to say it offers terroir like no other. The winery considers this Cabernet Franc to be its signature wine. It offers hints of blueberries and cranberries on the nose, along with chocolate and dried herb. Cherry dominates on the palate with just a touch of cocoa and cinnamon. It has good tannic structure and nice acidity. Overall, it’s a nicely made wine for the price and one that will certainly be memorable at the Thanksgiving table. 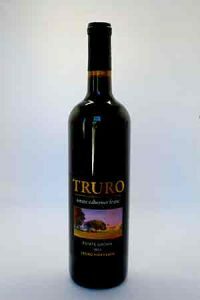 For more information, visit the Truro Vineyards official website. Zinfandel is often called “America’s grape.” That’s part of what makes this grape a popular choice for the Thanksgiving table. 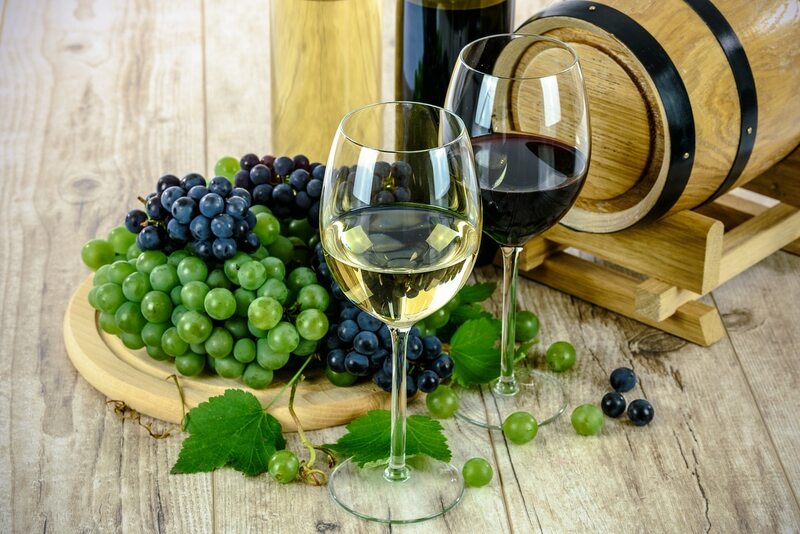 However, Zinfandel is also a popular choice because many wine drinkers love how the robust fruity flavors this varietal tends to exhibit match with the flavors of turkey and salty stuffing. Beekeeper is a boutique winery in California’s Sonoma County specializing in this varietal. The winery currently produces two different Zinfandels, either of which would sure to be a welcome addition to any Zin lover’s Thanksgiving table. We’re recommending Beekeeper’s Montecillo Zinfandel because we love the complexity of fall flavors found in the nose and on the palate. It offers hints of espresso, cedar, sage and spice, with the sweetness of dried blueberry and cranberry. The wine lingers long. If you’re looking for a special occasion Zinfandel, this would be the wine. For more information, visit the Beekeeper Cellars official website. A Napa Valley wine is a classic choice for your Thanksgiving table. 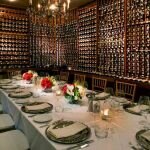 The Napa Valley is definitely a region with any number of special occasion wines worthy of your meal. Although most Napa Valley red wine lovers will probably instinctively reach for a Cabernet Sauvignon, we’re inclined to recommend something different. Lang & Reed is a winery focused on Cabernet, but not Cabernet Sauvignon. This winery produces what’s recognized as some of America’s best Cabernet Franc. We’re recommending Lang & Reed’s ‘Two-Fourteen’ as our Napa Valley Thanksgiving wine because of its structure and balance. The wine’s name comes from the single grape clone used to make this wine, Clone 214 from France’s Loire Valley. It offers ripe blueberry and blackberry aromas and flavors, but an underlying savory, dried herb note and hint of black pepper is what really gives it a special character. This Cabernet Franc lingers long on the palate and is sure to please any lover of Napa reds. For more information, visit the Land & Reed Winery official website. If you want to make American winemaking history a part of your Thanksgiving celebration, then a Pinot Gris from The Eyrie Vineyards makes an outstanding choice. You see, this pioneering winery in Oregon’s Willamette Valley produced the United States’ first Pinot Gris. Eyrie’s founder, David Lett, planted his Pinot Gris in 1966. Grapes from those original vines made it into the winery’s 2016 Dundee Hills Pinot Gris. But this cuvée is for more than just the history buffs among us. It is without question one of America’s finest Pinot Gris and one that’s very attractively priced. Wine lovers will appreciate its complexity and texture. A beautifully aromatic wine, it offers tropical fruit aromas and flavors, including lychee, star fruit and passion fruit. Don’t be fooled into thinking this is a sweet wine, though. It is bone dry and elegantly structured with a faint minerality on the finish. For more information, visit the Eyrie Vineyards official website. When wine drinkers select a white wine to serve with Thanksgiving dinner, it’s very often a Chardonnay. So, we knew we couldn’t leave this beloved varietal off of our Best Thanksgiving Wines list. However, we’re recommending a Chardonnay from an American wine region we’re willing to bet most wine lovers have yet to discover. Channing Daughters is a winery representing wines produced from all three of Long Island’s AVAs. It is also a winery committed to the environment and is a founding member of Long Island Sustainable Winegrowing. The winery’s Brick Kiln Chardonay comes from grapes hand-harvested in Bridgehampton — that’s right, in the heart of the Hamptons! It’s a medium-bodied Chardonnay with notes of Bartlett pear, dried apple, yellow nectarine and lemon acidity. There’s a salinity on the finish that quite literally makes the mouth water for the next sip. For more information, visit the Channing Daughters official website. Sparkling wine isn’t the typical choice for a traditional Thanksgiving table — but we say, why not? A good sparkling wine fits all the criteria for what you want from a Thanksgiving wine. It has cleansing acidity to wash down the meal; it’s never so bold that it overpowers your holiday foods. It also has the bonus of bringing a celebratory air to the table. For a home run of a Thanksgiving sparkling wine, we’ve chosen a bottling that should not only please your guests with its structure and flavor but one that might surprise them as well. Gruet is New Mexico’s first sparkling wine house. The winery came on to the scene in 1989 with the release of a Brut and Blanc de Noirs, and it’s that Blanc de Noirs that we’re recommending as one of our Best Wines for Thanksgiving. A pale salmon colored wine, it offers flavors of both red fruits and baked autumn pears. It offers softness on the palate and yeasty and faintly earthy notes on the finish. For more information, visit the Gruet Winery official website.